A dashboard provides actionable insights without needing to sift through large volumes of data to assess performance. All critical data is consolidated in one place to help you manage your organization better. 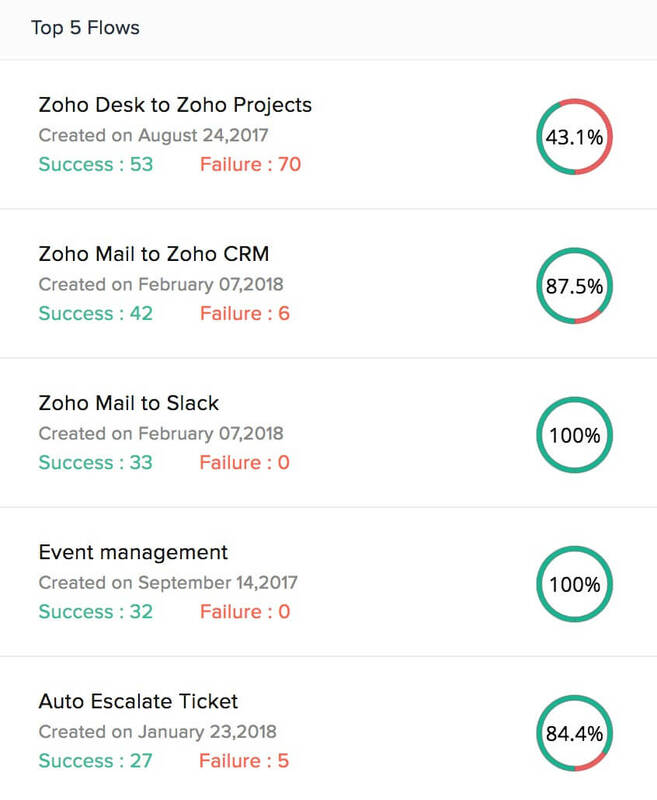 The Zoho Flow dashboard provides key performance indicators for your organization in real time. You can view at a glance how successful the flows in your organization are and make informed decisions about productivity. For example, you have a flow that triggers when a subscription is renewed for your product. If this flow is on your list of top 5 flows and has thousands of executions, it means that your customers are happy with your product. The top section of the dashboard shows the total number of flows in your organization, how many are live, paused, and in draft. Execution shows numerical and visual representations of the success and failure rates of the flows over a particular period of time. Choose a time frame from the dropdown to view executions for that period. By default, Today is selected and the corresponding metrics are displayed. As you scroll down, you will find the top 5 flows and recent executions. The top 5 flows in your organization are the ones with highest numbers of executions. You can view the number and percentage of successful and failed executions for each flow listed. 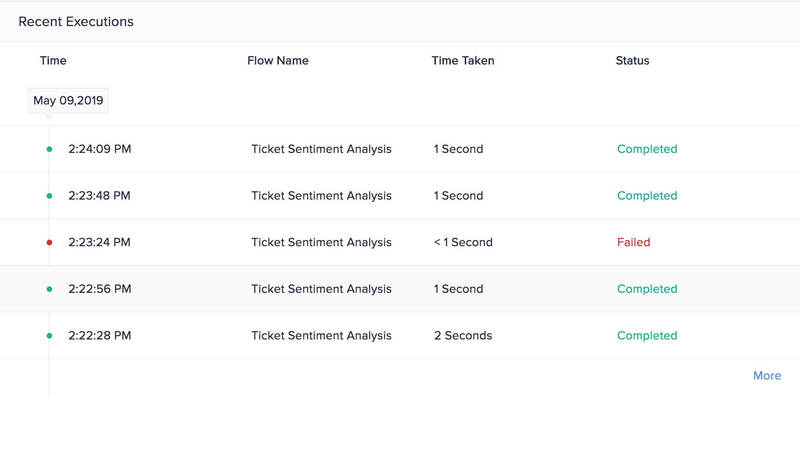 Clicking on a flow will take you to its summary tab where you can view further details about the flow. This displays the most recent executions in your organization. If there are no recent executions, check whether your flows are switched on and executing.